An amazing phenomenon occurred in the sky over Huancavelica in Peru on January 10, 2015. The footage shows a bright colorful object which energy flows in a spherical core in all directions. Two distinct rays are projected in opposite directions just as a neutron star or pulsar. 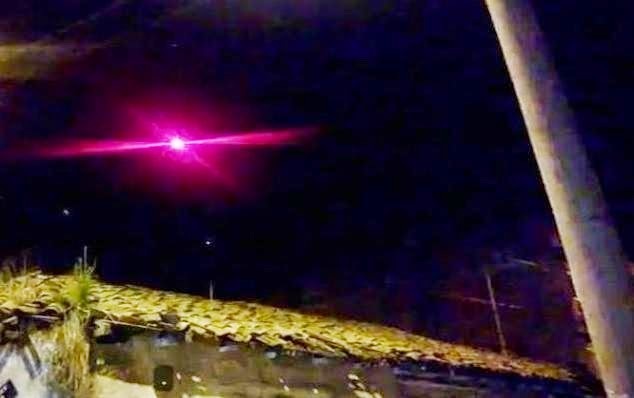 Is something burning up in the atmosphere are does this phenomenon suggest that it is a UFO in a high-energy state, or as UFOVNI suggest this UFO-like object became visible due to a “Pauli Effect”. The Pauli effect is a term referring to the apparently mysterious, anecdotal failure of technical equipment. It is a pyrotechnical object. Pyrotechnics is the science of using materials capable of undergoing self-contained and self-sustained exothermic chemical reactions for the production of heat, light, gas, smoke and/or sound. Pyrotechnics include not only the manufacture of fireworks and flares but items such as safety matches, oxygen candles, explosive bolts and fasteners. It is a Plasmoid object. 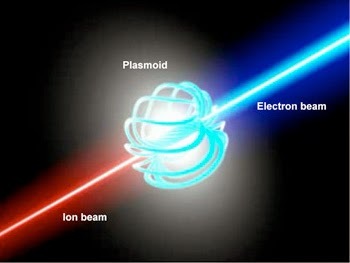 A plasmoid is a coherent structure of plasma and magnetic fields. Plasmoids have been proposed to explain natural phenomena such as ball lightning, magnetic bubbles in the magnetosphere and objects in cometary tails. The energy jets from this object can be explained by the plasmoid phenomenon (plasma-magnetic entity). This phenomenon can fully explain the mechanisms that trigger and suppress jet formation. As a high-density energy storage phenomenon, the plasmoid would produce well-collimated jets after a time as determined by the process of particle collisions.